Reputed to be one of the oldest and most venerated holy shrines of the Hindus, Tirupati is the abode of Lord Venkateshwara (Balaji). The main temple is ensconced in the seven hills - Tirumala (13 Km.) and the town at the foothill is known as Tirupati. At Tirupati :Govindarajaswamy Temple, Kapila Theertham (2 Km. ), Kodandaramaswamy Temple, and the Padmavati Temple at Tiruchanur (5 km.). At Tirumala : Akasanganga(3 km. ), Lord Venkateswara Temple, Papanasanam(8 km. ), Perumallapalli (8 km. ), Sila Thoranam- One of the rare geographical arch in the world; Swami Pushkarni (Temple Tank). Kalyani Dam (18 Km. ): A beautiful reservoir from where water is supplied to Tirupati and Tirumala. There is a Travellers Bungalow under the control of P.W.D. ; Narayanavanam (36 Km. ): The importance of this village is due to it's big temple dedicated to Lord Kalyana Venkateswaraswamy. It is believed that the marriage of Lord Venkateswara with goddess Padmavathi took place here; Kalahasti(37 Km. ): This picturesque religious centre is famous for its temple dedicated to Vayu (The Wind God). Devasthanam Guest House. Resvn: Executive Officer, Sri Kalahastiswara - Swamy Devasthanam; Kailasanathakona (43 Km. ): These waterfalls are situated in the Nagari Hills. The water here is said to be rich in minerals and possesses curative properties; Nagalapuram (65 km. ): Nagalapuram is known for the Vedanarayanaswamy Temple. An annual festival (Surya Puja) is held in March when the sun's rays fall on the feet, naval and forehead of the deity at different times of the day. Rail : Tirupati is directly connected by rail with Bangalore, Chennai, Hyderabad, Madurai, etc. and via Renigunta with Mumbai, Pune, Fare :Mumbai -Tirupati :IInd A/c:Rs.1583/- IInd class:Rs.369/-. Road : Tirupati is well connected by road with Bangalore 228 Km., Chennai 162 Km., Chittoor 50 Km., Horsley Hills 144 Km., Hyderabad 538 Km., Kalahasti 37 Km., Lepakshi 379 Km., Renigunta 11 Km., Sri Sailam 420 Km. Tiruthani 66 Km. and Vijayawada 380 Km. Local Transport: APSRTC operates regular bus services from Tirupati to Tirumala almost every five minutes from 0330 hrs. to 2300 hrs. Tourist taxis, auto-rickshaws cycle-rickshaws and city bus services are available. APSTDC conducts tour of the local temples in and around Tirupati. Timings:1000 to 1730 hrs. (Daily). Fare: Rs.150/-(Adult) & Rs.120/-(Child). *Guestline Hotel & Resorts*** Karakambadi Rd, Tel: 28800 / 28868. Fax: 27774. *Hotel Mayura*** T.P. Area, Tel:25925, Fax: 25911. *Bhimas Deluxe Hotel** Car Street, Tel: 25521. Fax: 25471. *Hotel Sindhuri Park** 119, T.P. Area, Tel:56430. Fax: 56438. The tariff of the following hotels ranges from Rs.150/- to Rs.350/- for single and from Rs. 250/- to Rs. 600/- for double rooms. Hotel Amaravathy, T.P. Area, Tel: 25017; Hotel Apsara, Opp. APSRTC Bus Stand, Tel: 25043/25292; Hotel Bhima's Annexe, Car Street, Tel:20766; Hotel Balaji Bhavan, Railway Station Road, Tel: 22004; Sri Jayasyom Lodge, G. Car street, Tel: 22329; Shri Krishna Lodge, Nehru St., Tel: 20694; Hotel Mamata, T.P. Area, Tel: 20923; Hotel Oorvasi International, Renigunta Road, Tel: 20202; Hotel Prasanth, 128, T.P. Area, Tel: 20695/20537; Hotel Seven Hills, T.P. Area, Tel: 20167; Hotel Vikram, 207, T.P. Area, Tel: 25433 and Hotel Vishnupriya, Tel: 25060. 1. Sri Padmavati Guest House, Chittoor Road, Tirupati,(Rs.200- 300). 3. Sri Venkateswara Dharamsala, Opp. Rly Stn., Tirupati, Tel: 20103. (Rs.50-100/-). 4.TTD Guest House, Alipiri, Tirupati, Tel: 30080 (Rs.75/- per Suite). Guest House, Tirumala (Rs.100/- each). 8. Sri Padmavathi Guest House, Tirumala, (Rs.500-2000/-). Resvn : The Asst. Exec.Officer (Reception), TTD, Tirumala, Tel:22029/27993. Resvn:The Manager, K.S.T.D.C., Badami House, Bangalore. Tel: 2275883. 10. Hill View Guest House (APTDC), Tirupati, Tel: 22494. 1. Regional Tourist Info. Bureau, Govt. of A.P.,T.P. Area, Tirupati. Tel: 55386. Fax:56877. 2. 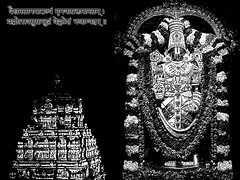 Tirumala Tirupati Devasthanam (TTD), Information Service, Central Reception R.R. Office, Tirupati. Tel:22029,27933, 77777. 3. TTD Info. Centre, G.D.Somani Memorial High School, Cuffe Parade, Mumbai. Tel: 2187171.4. A.P. Tourism Info. Center, 232, General Assurance Bldg., Dr.D.N. Road, Fort, Mumbai. Tel:2072245. I have been quite following your blog for few weeks, you are providing the true & real information. Nowadays, thousands of people are visiting the tirumala temple everyday.